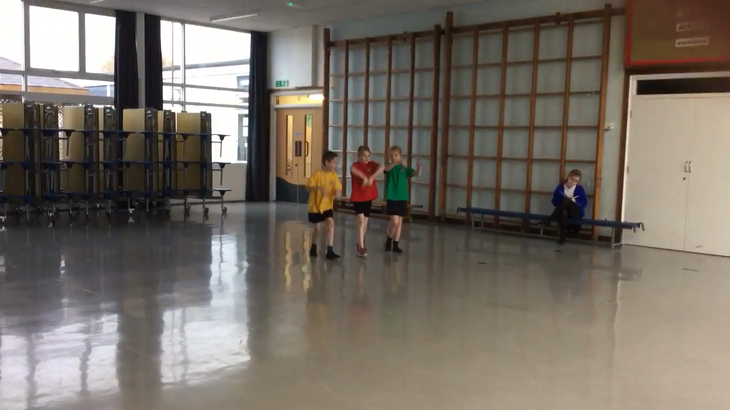 We worked in groups to create a dance showing the movement of a river. 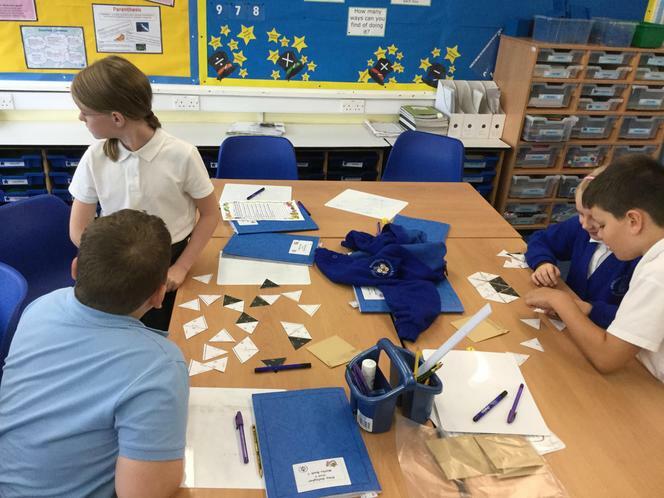 Solving Equivalent Fraction puzzle. 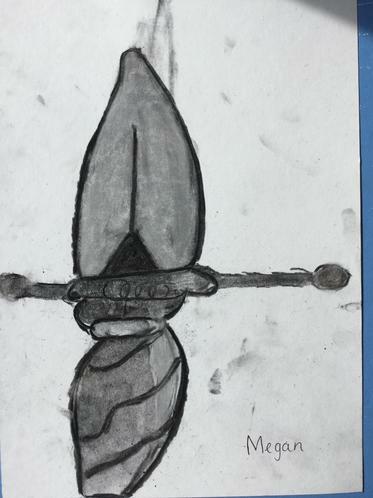 We really had to think!!! 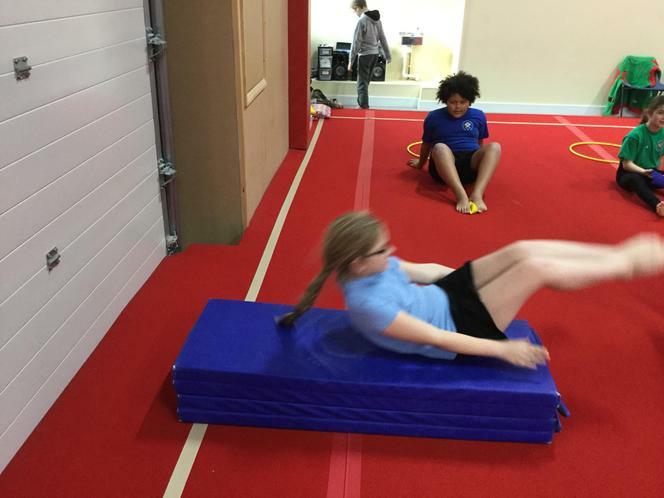 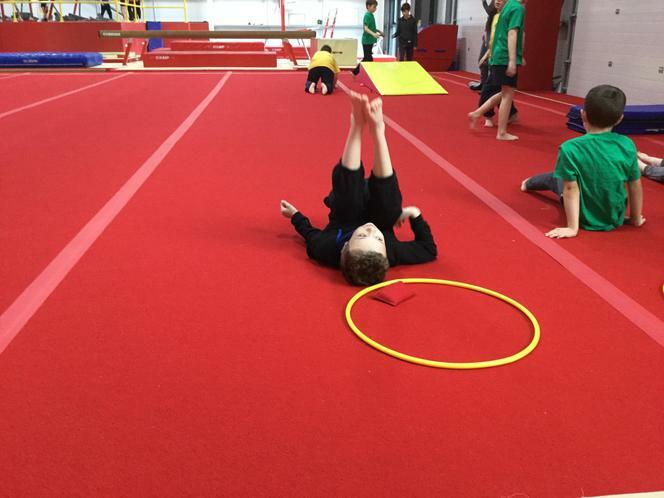 Year 5 were lucky and had 6 PE lessons at the gym. 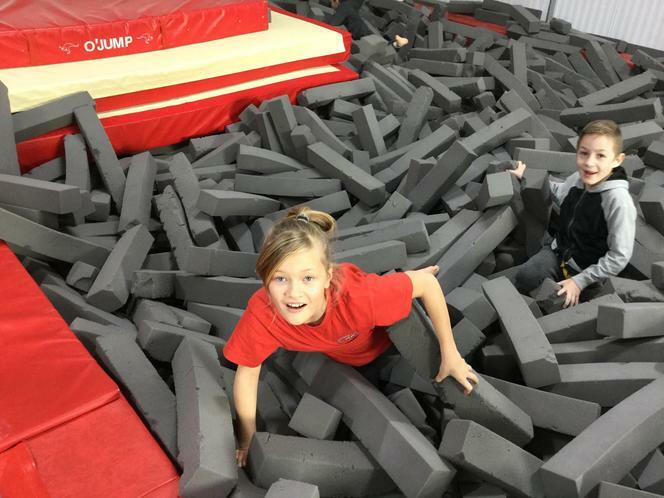 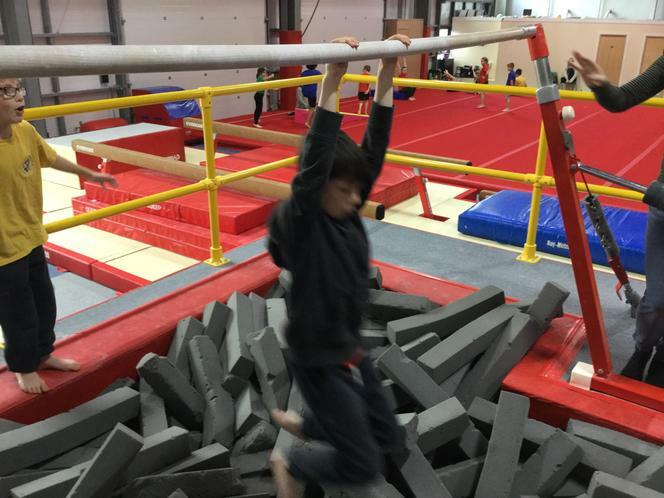 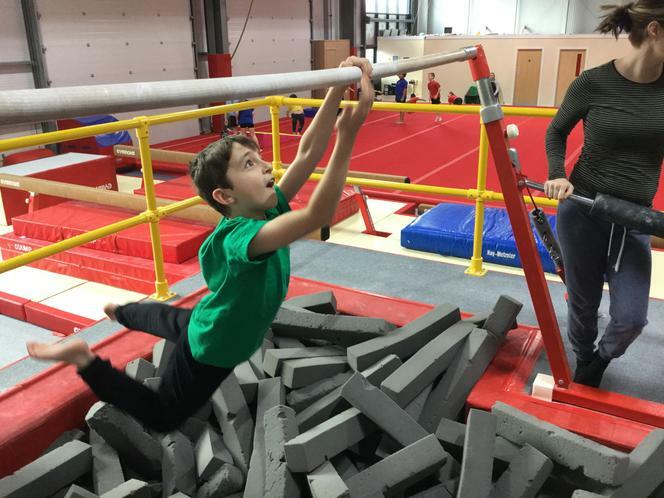 They especially enjoyed the high bars and the beam. 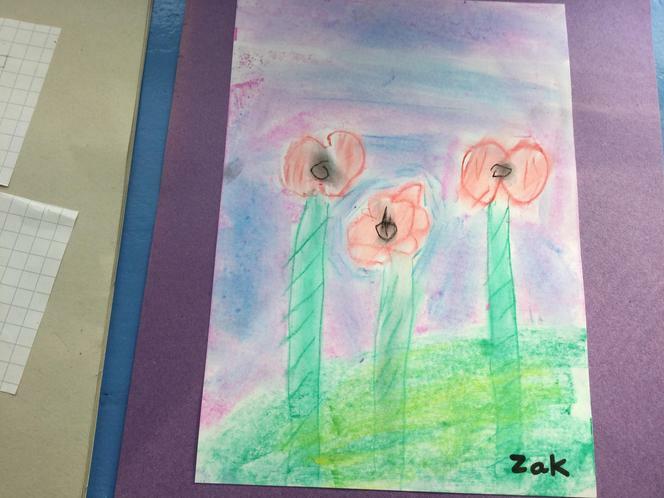 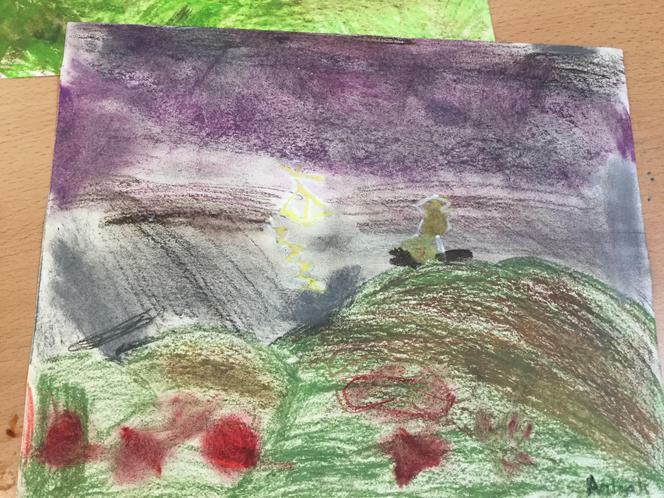 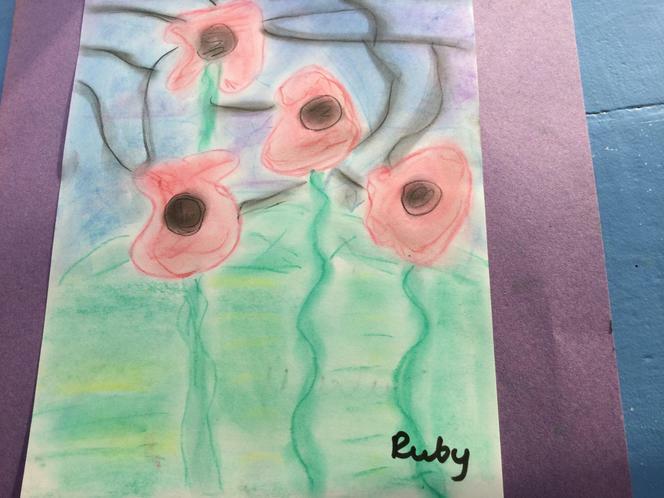 To celebrate Remembrance Day, children produced some fantastic pieces of artwork of poppies in a field. 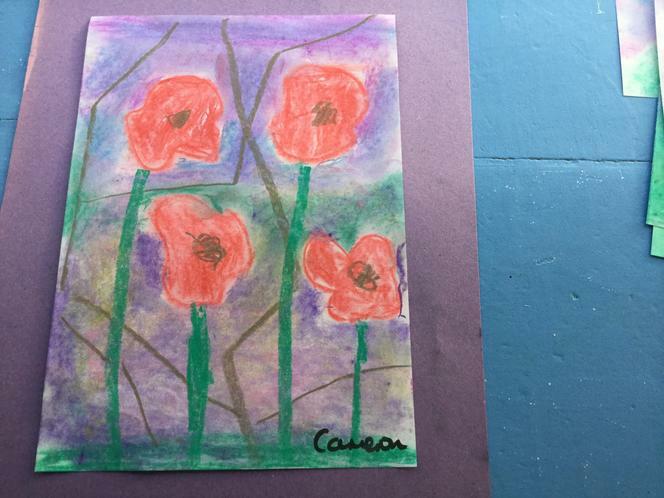 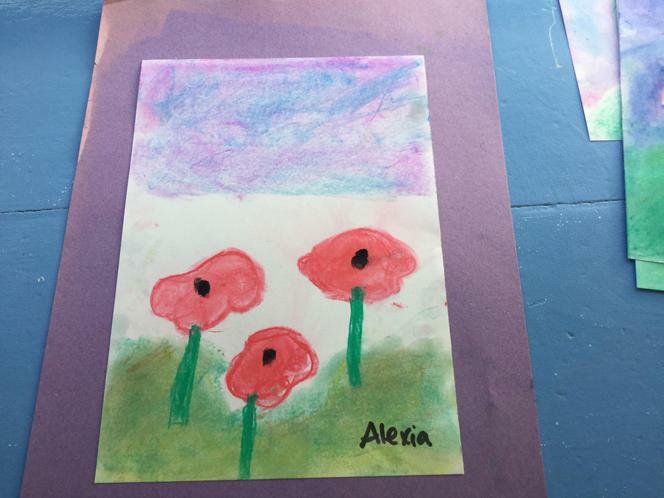 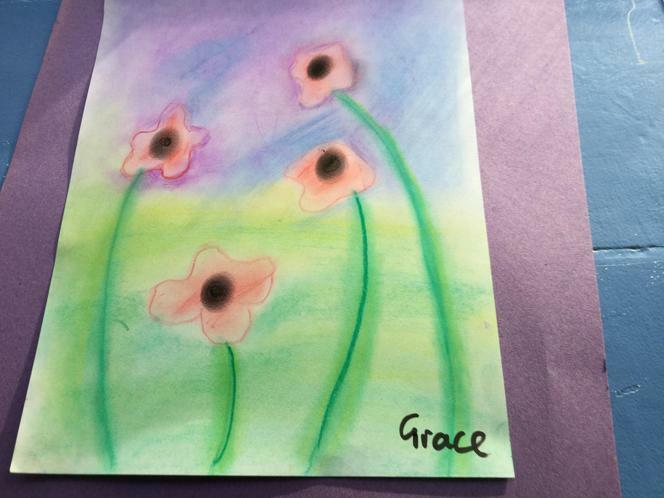 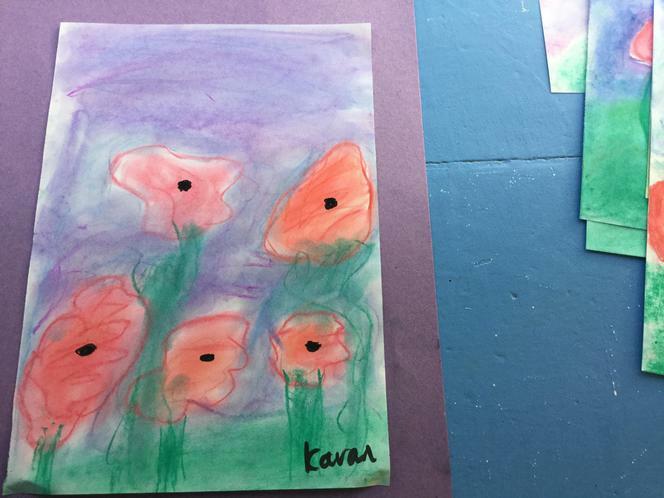 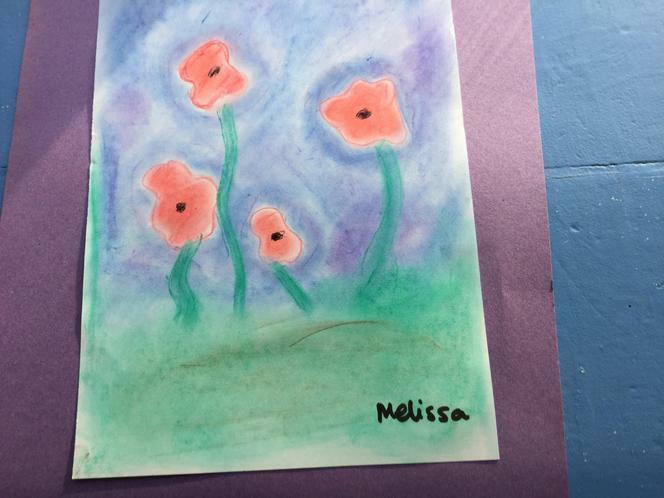 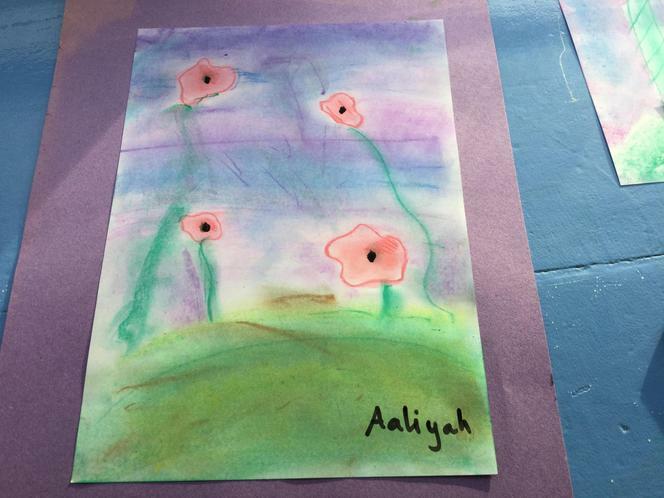 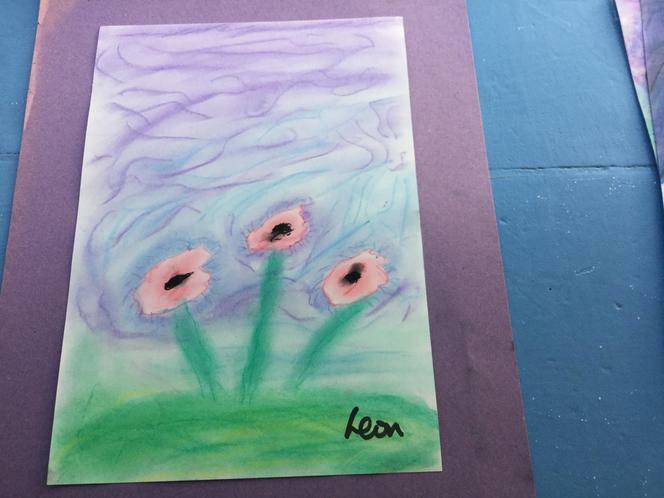 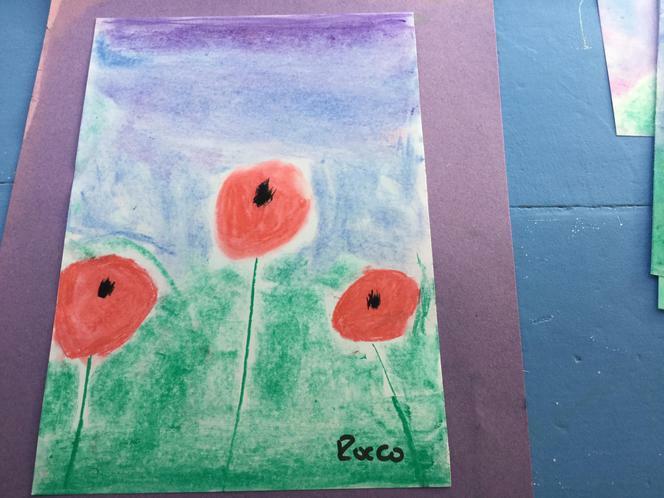 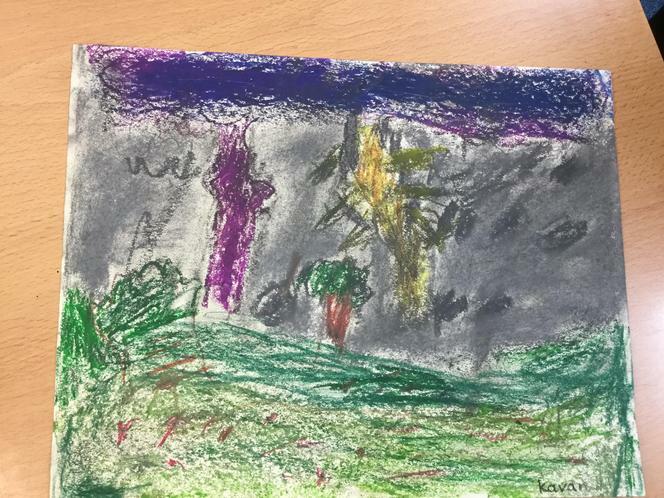 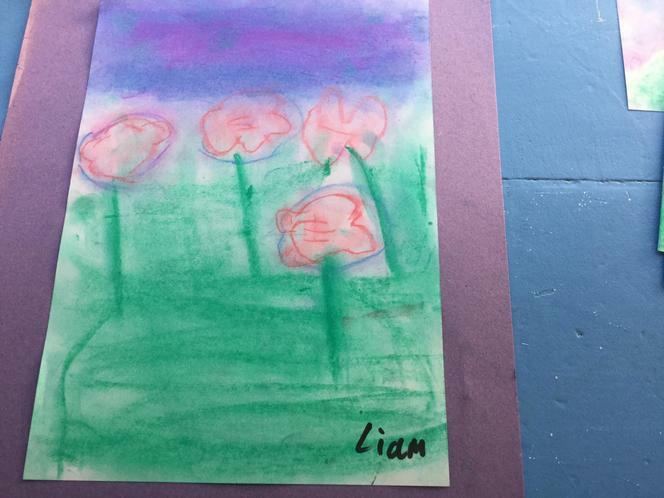 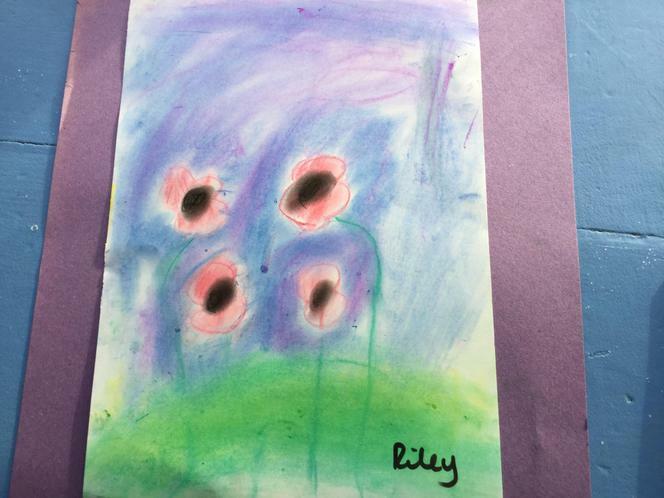 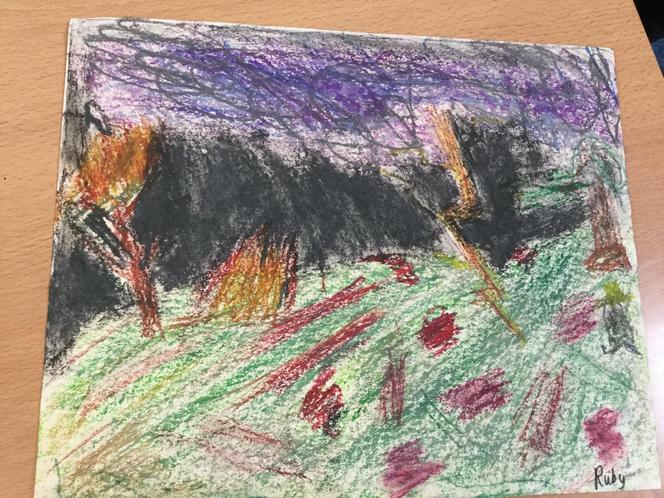 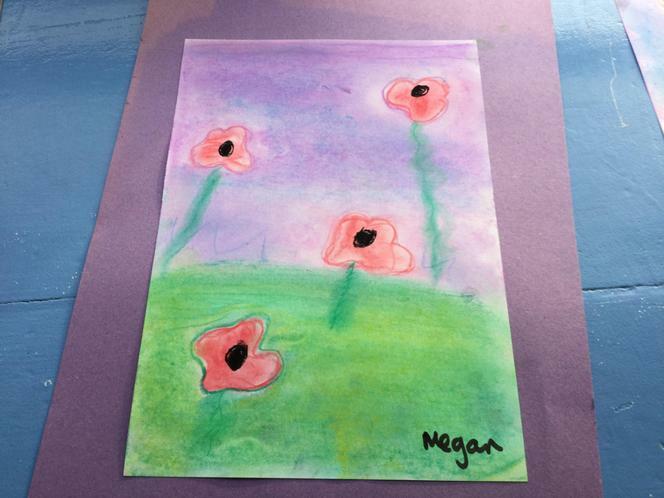 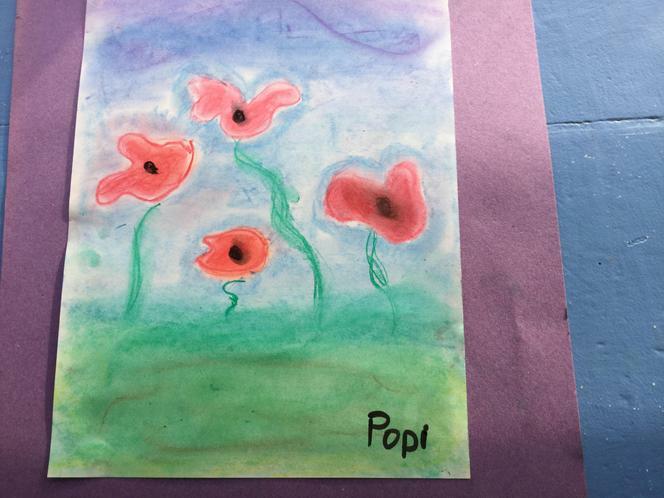 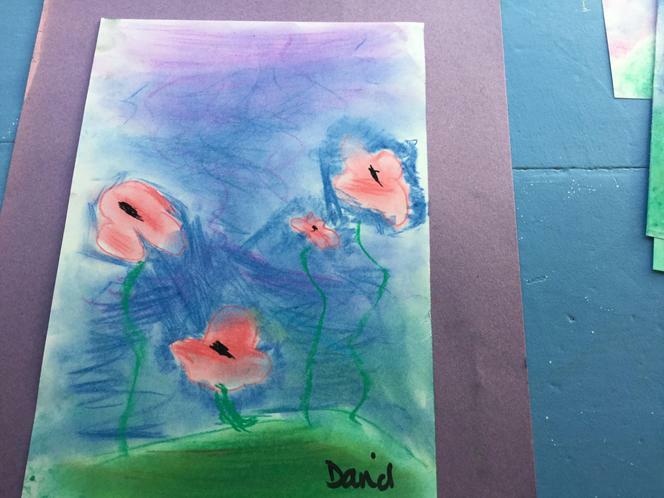 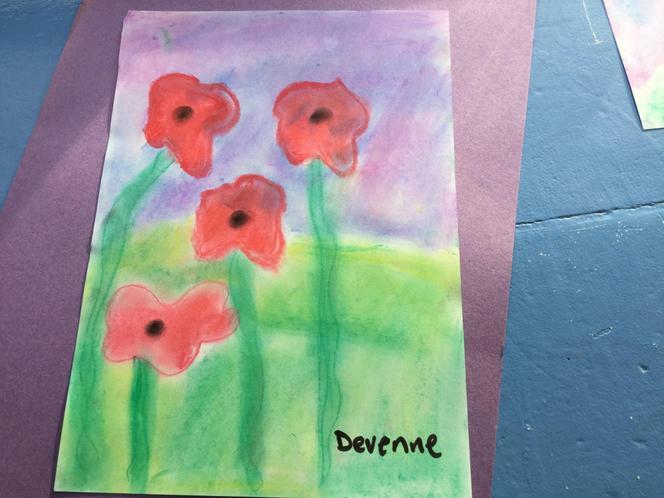 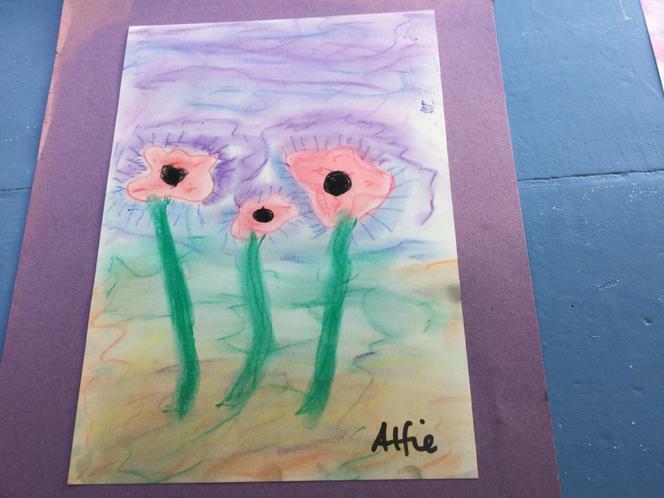 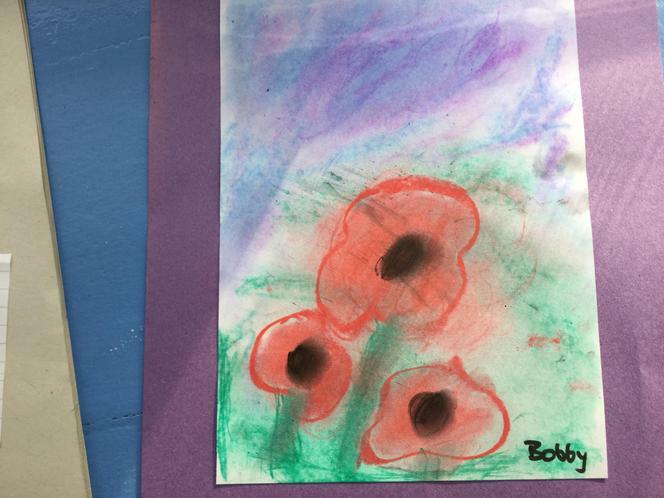 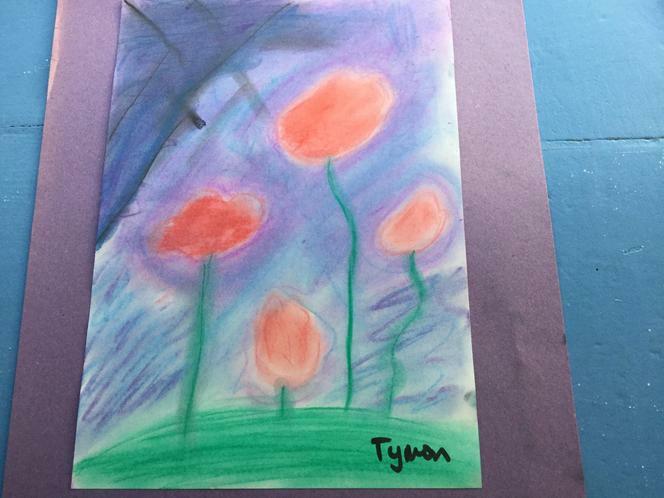 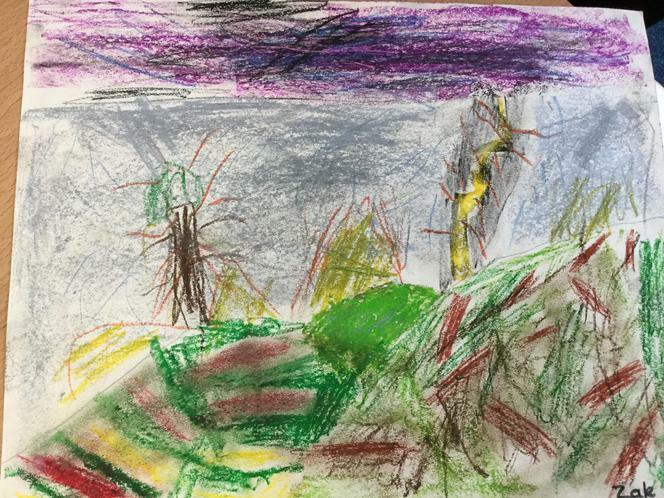 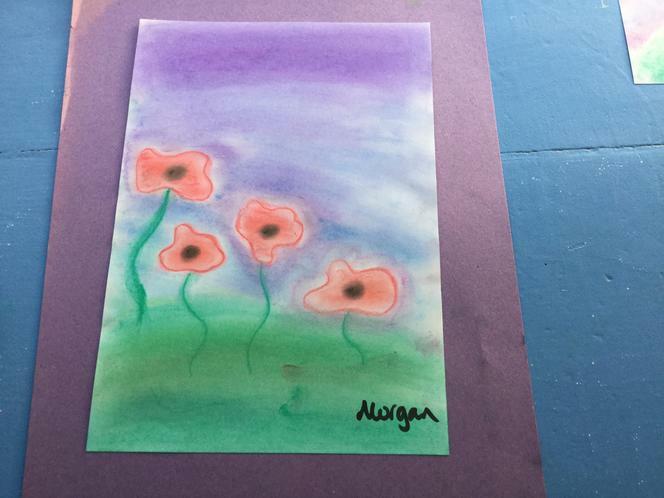 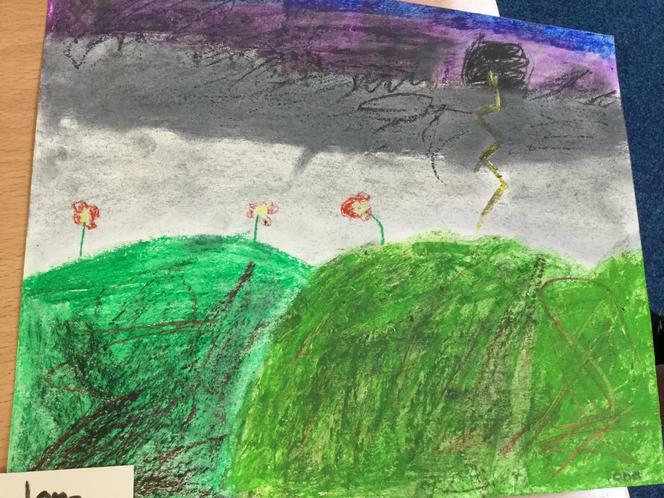 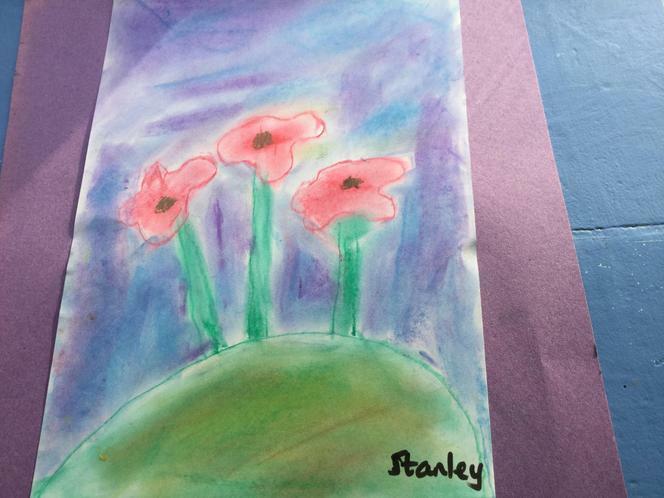 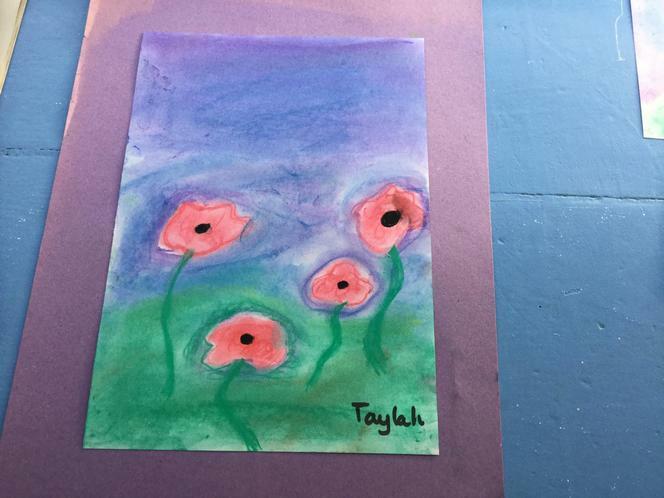 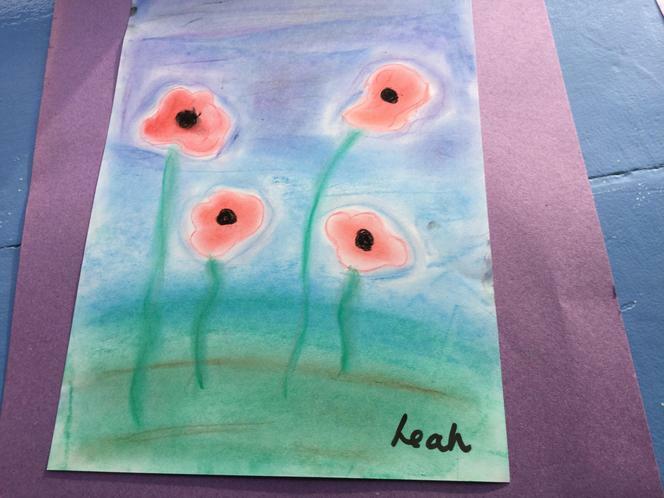 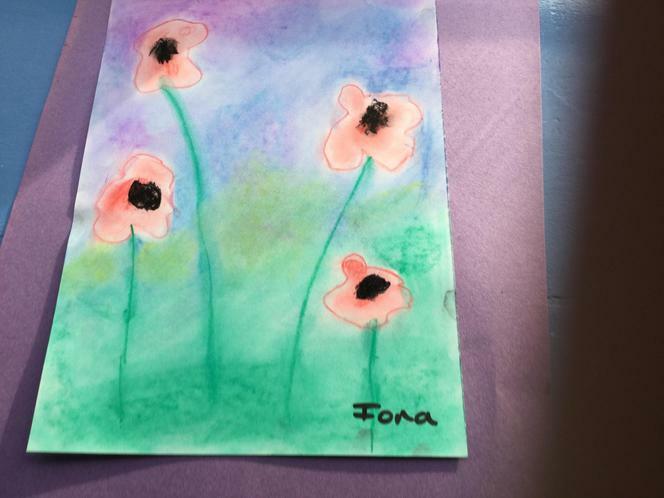 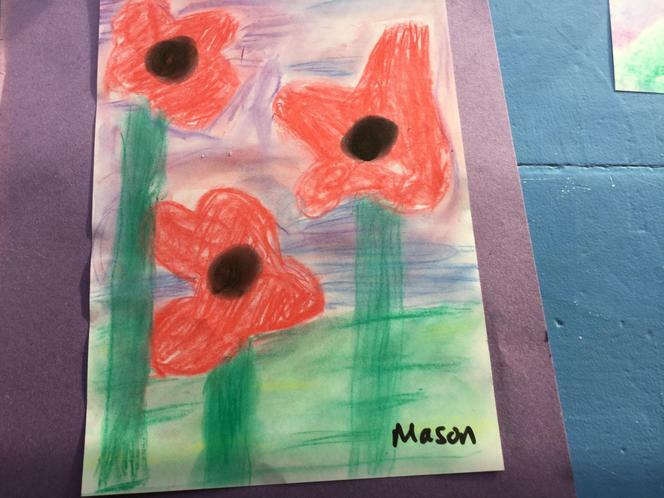 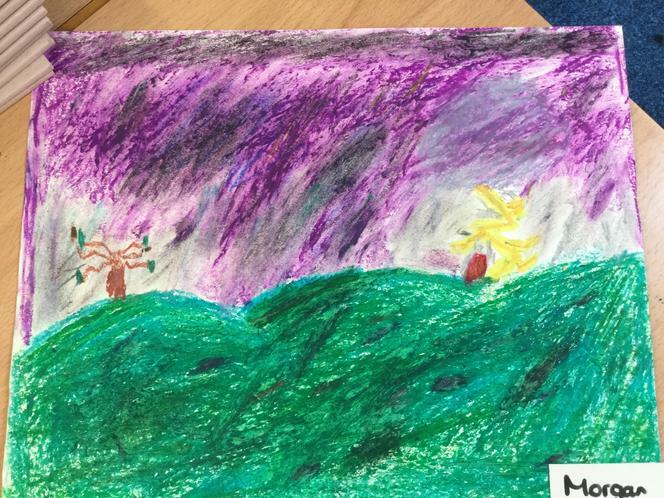 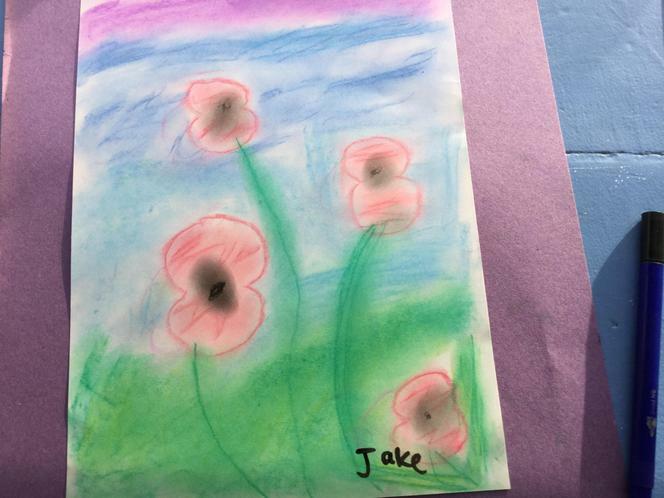 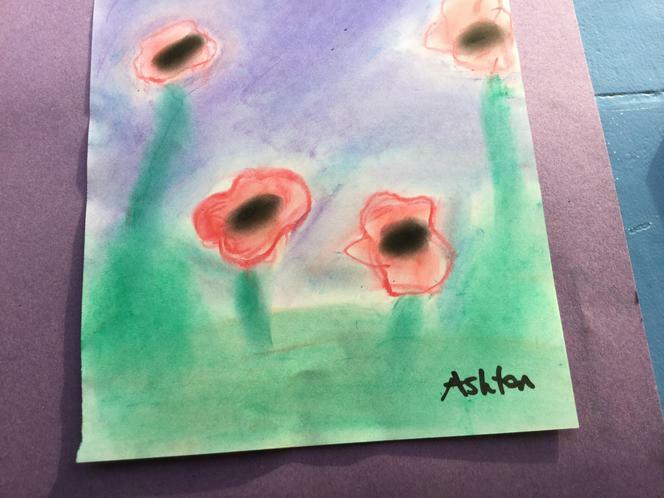 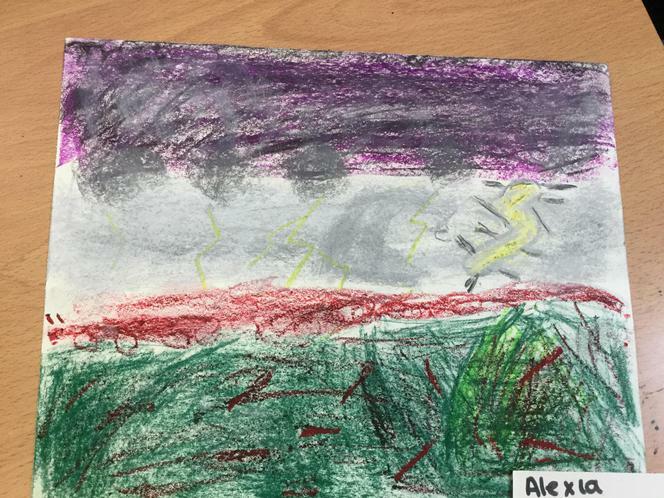 Children used chalk pastels and developed their charcoal skills to smudge and blend to create a background with poppies in front of it. 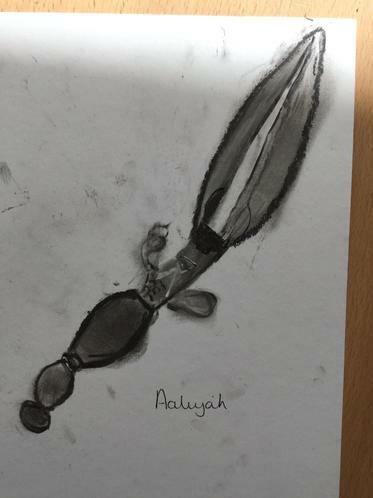 17th October. 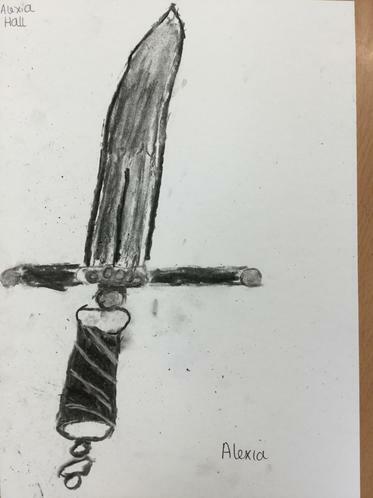 This week, children looked at the main scene of Macbeth where he kills King Duncan. 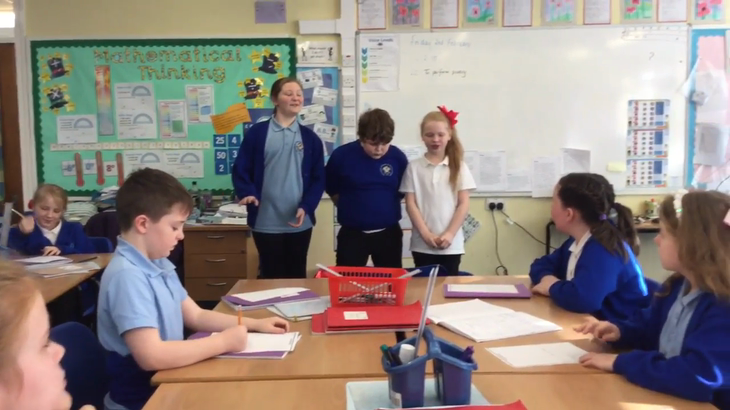 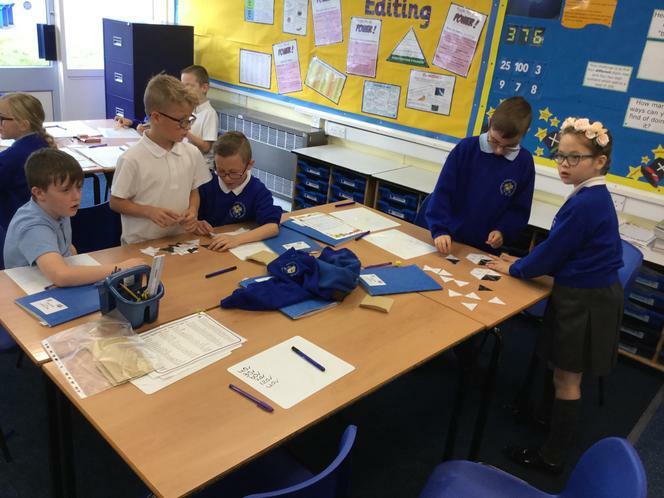 Children worked in groups of 4 to role play the key events that occurred. 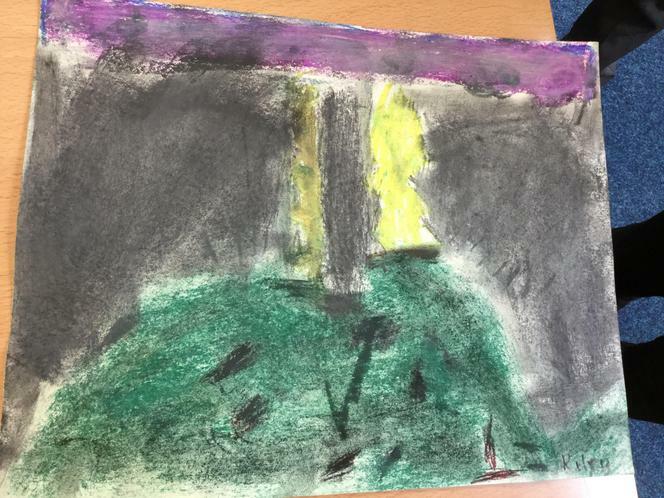 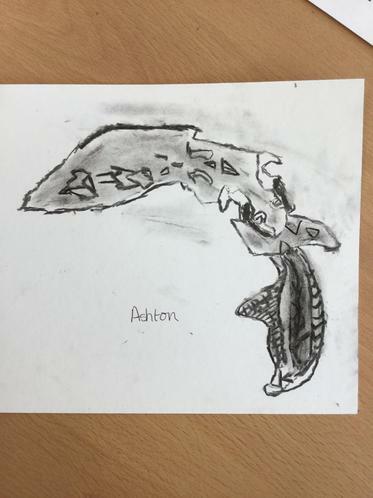 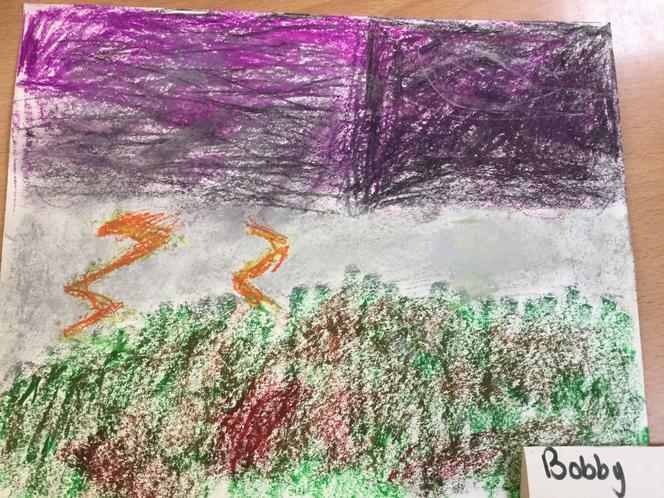 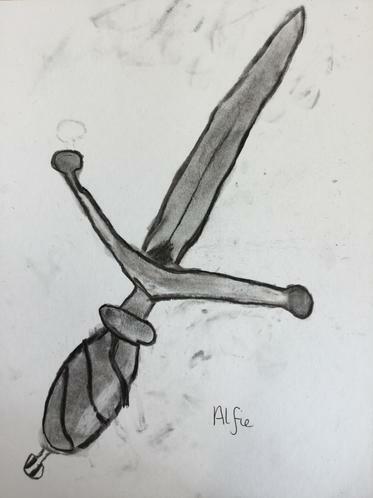 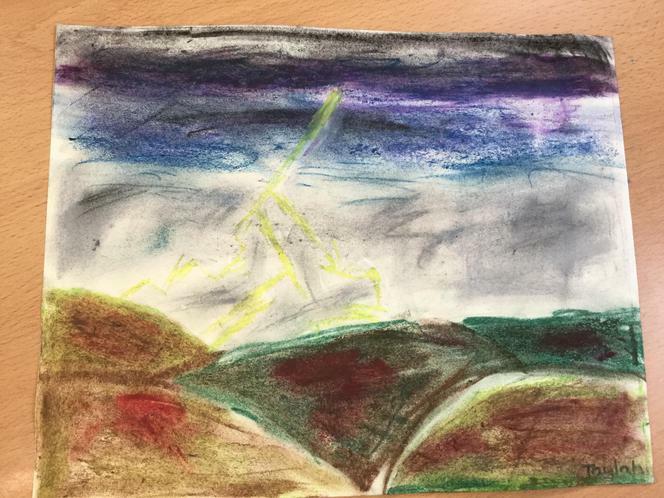 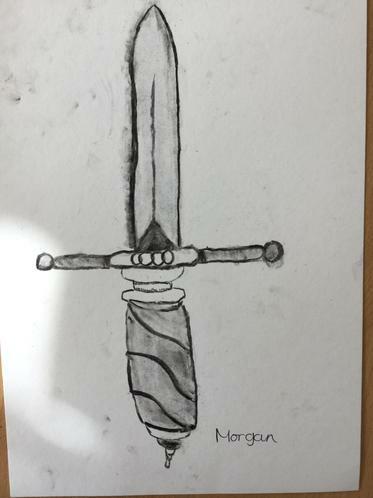 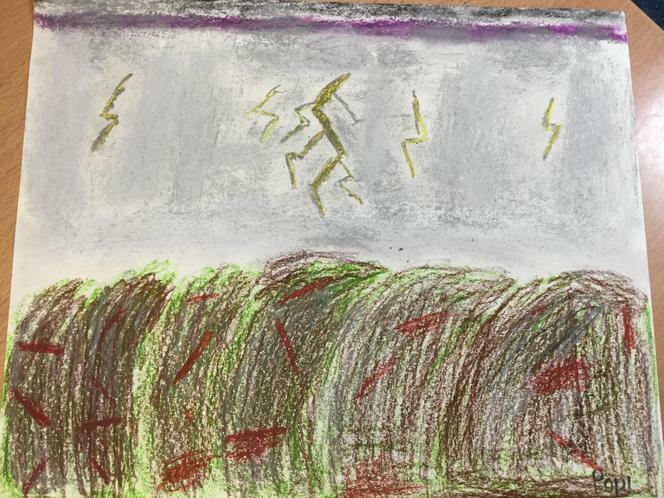 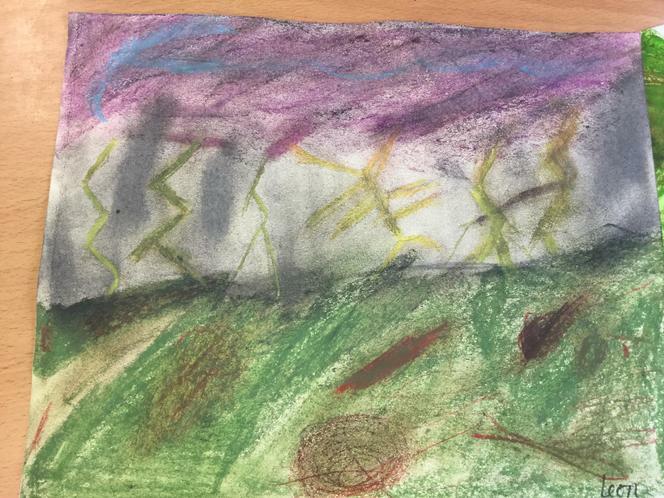 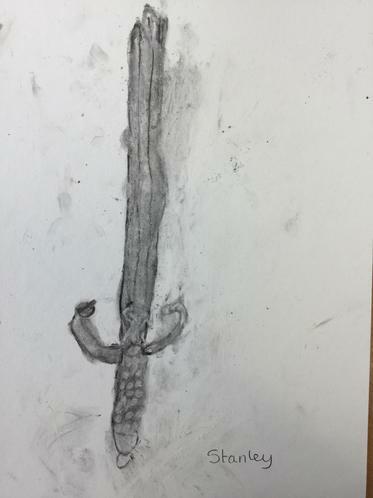 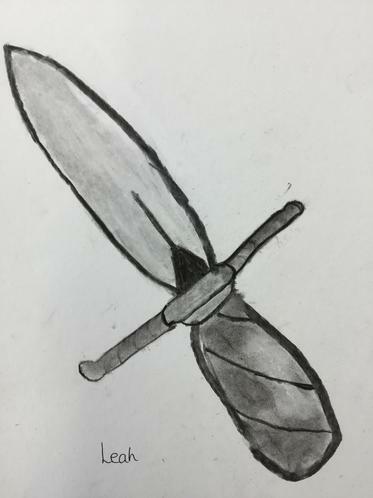 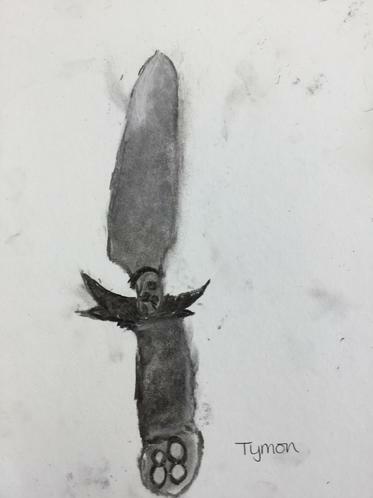 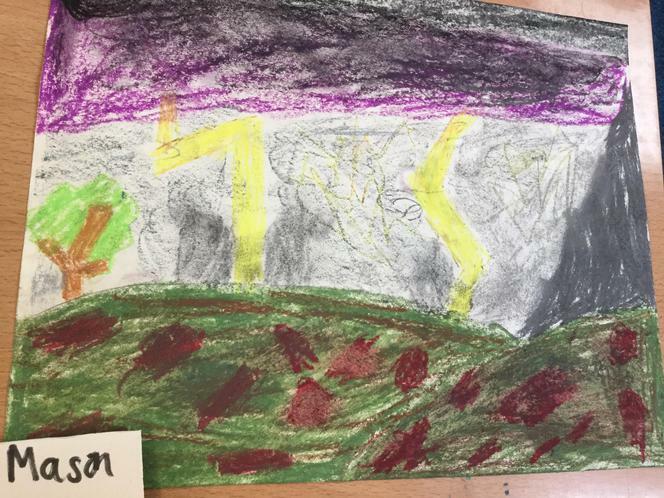 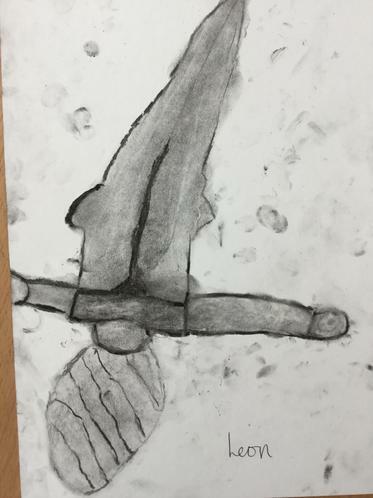 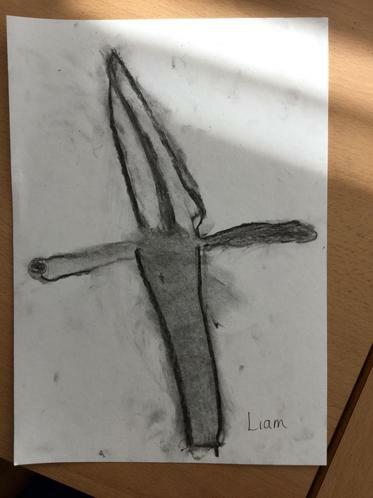 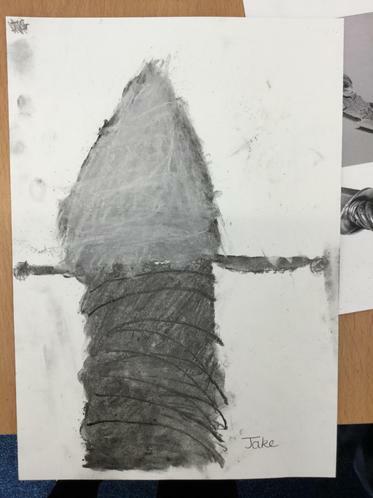 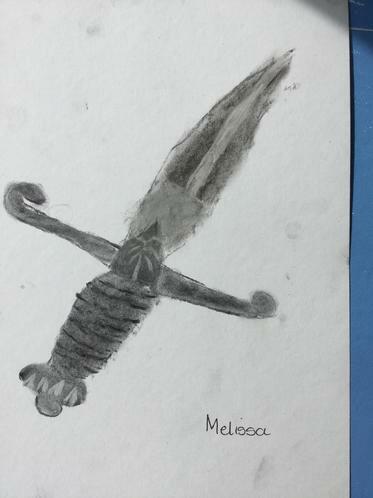 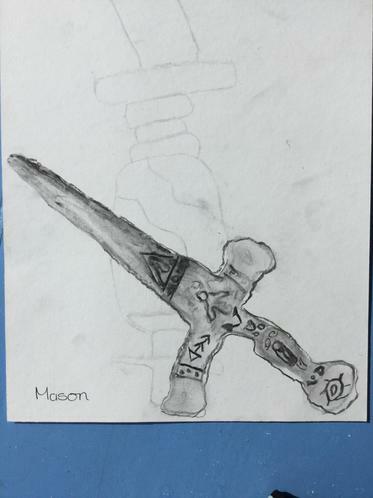 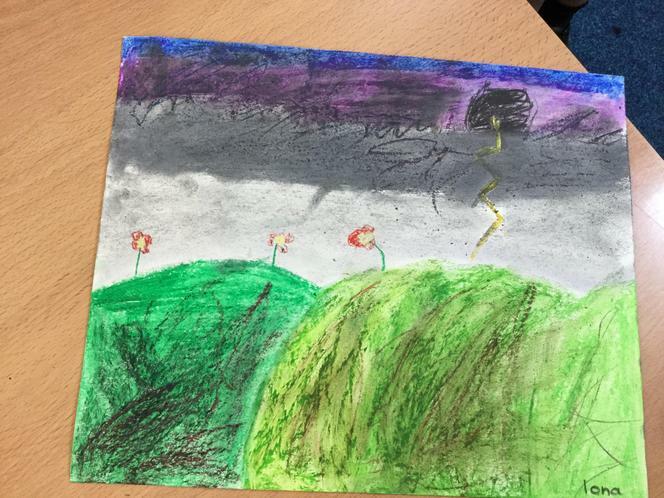 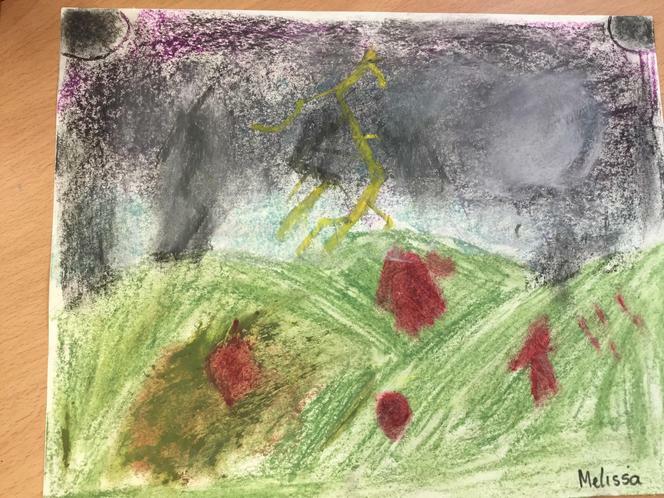 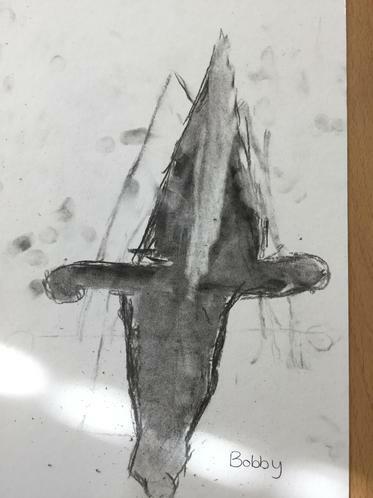 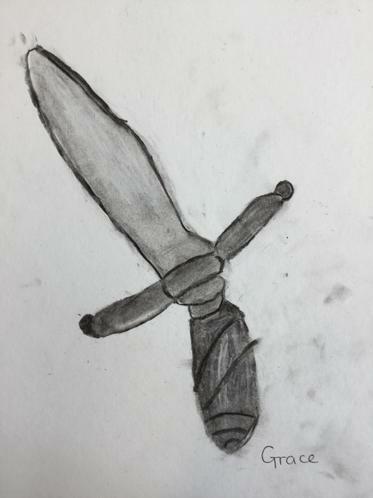 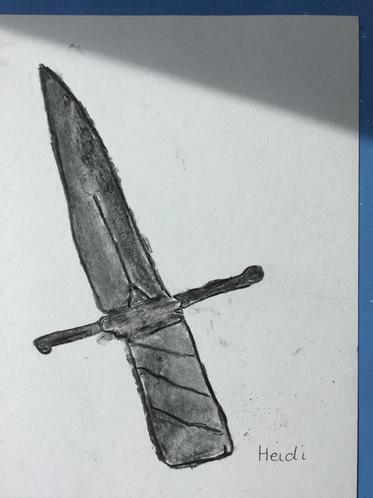 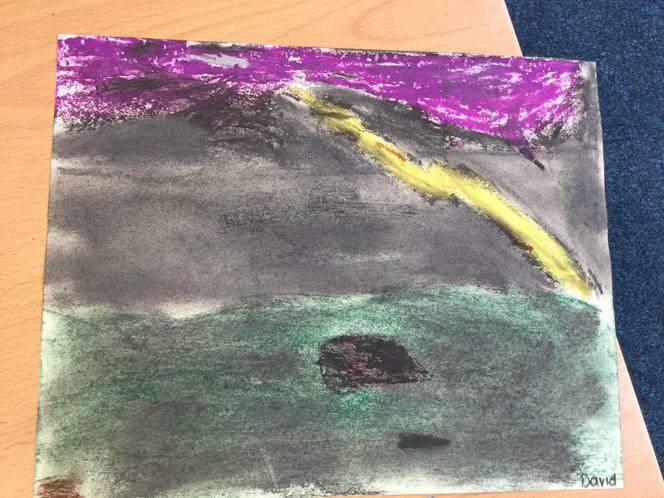 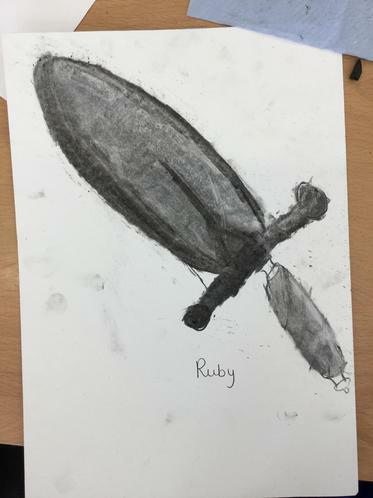 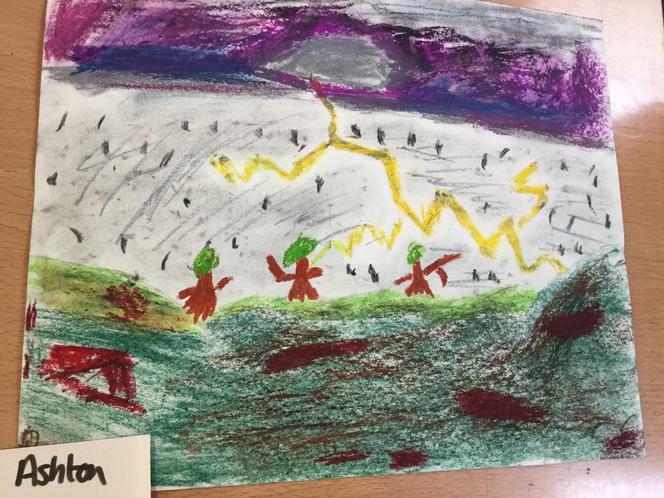 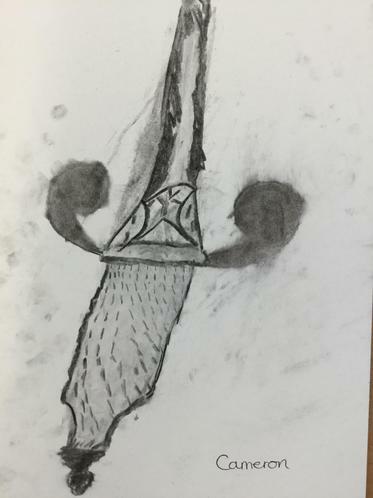 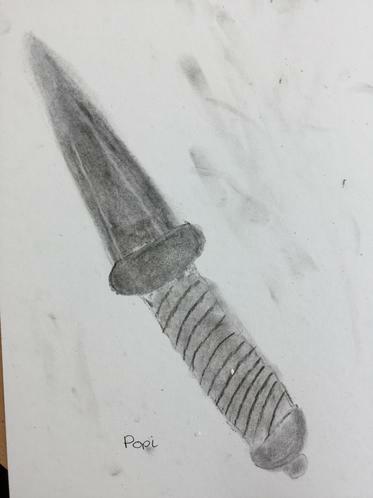 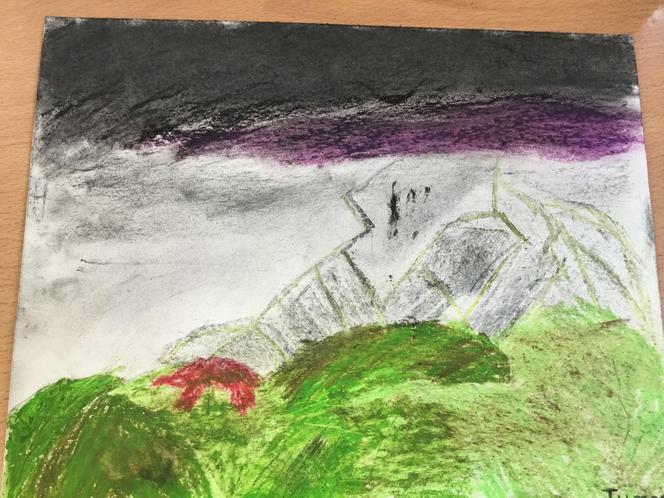 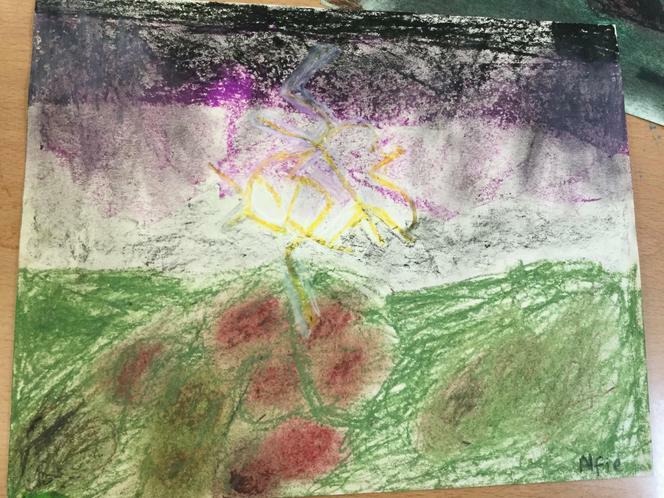 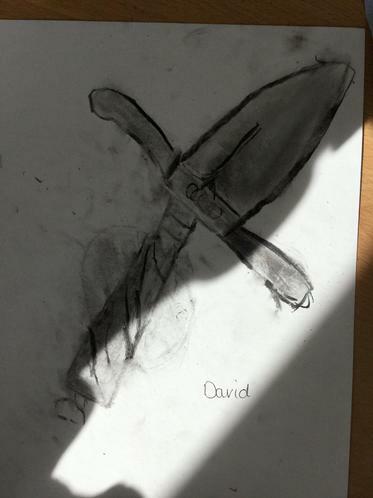 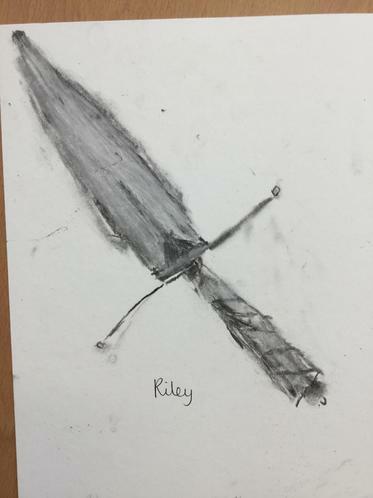 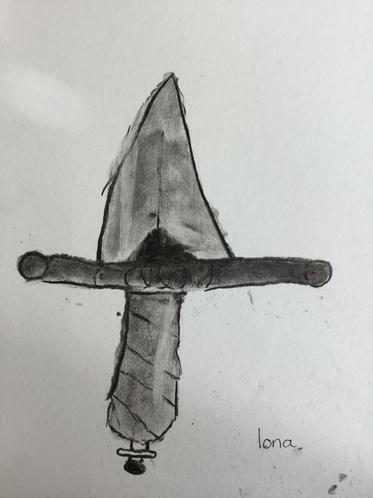 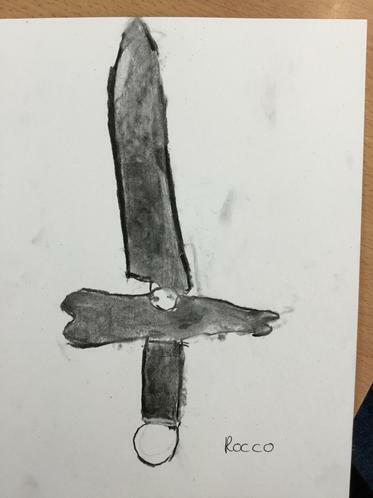 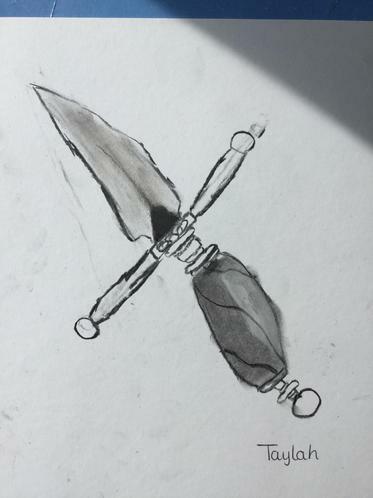 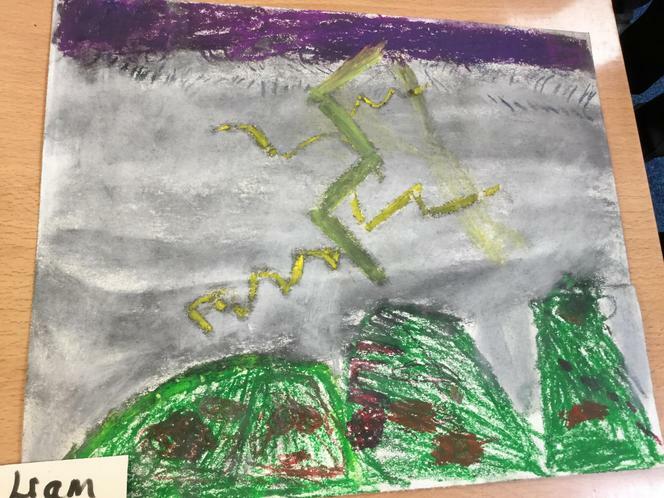 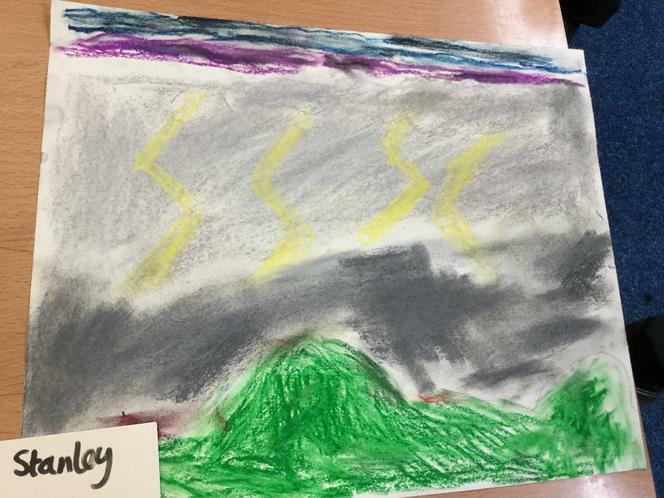 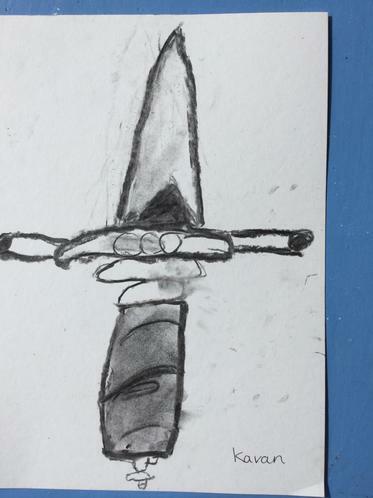 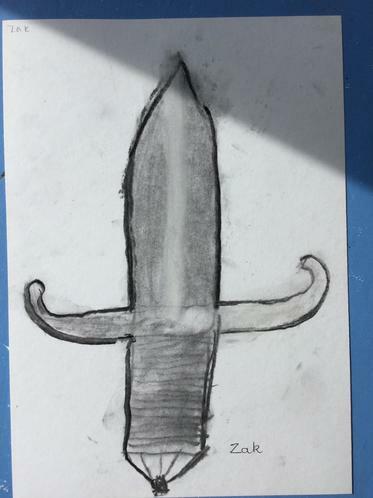 Autumn term: Continuing our charcoal art, children produced dagger pictures (which related to our Macbeth book in literacy). 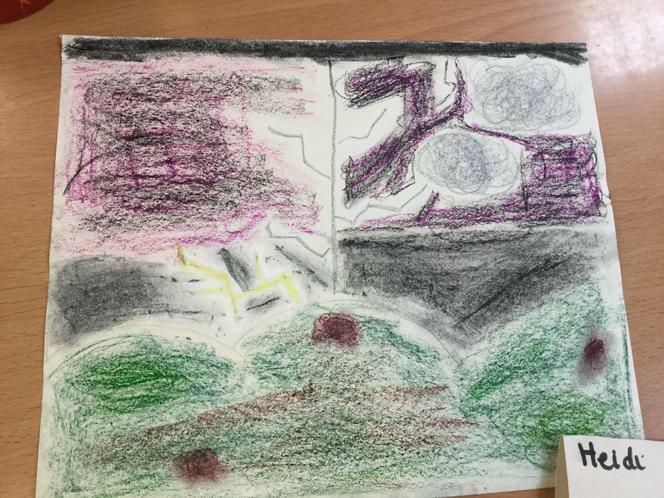 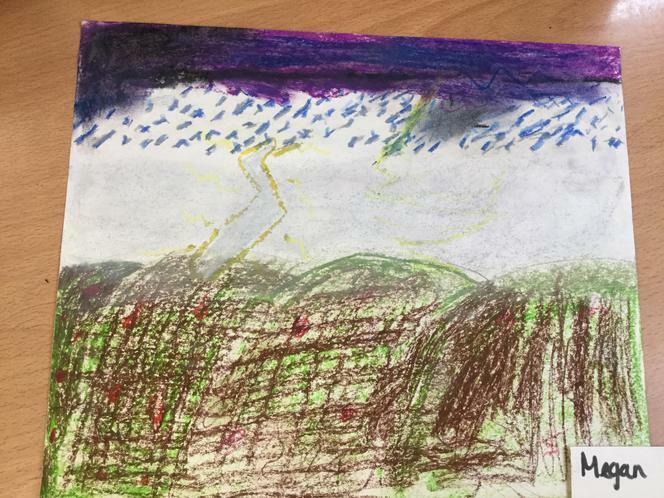 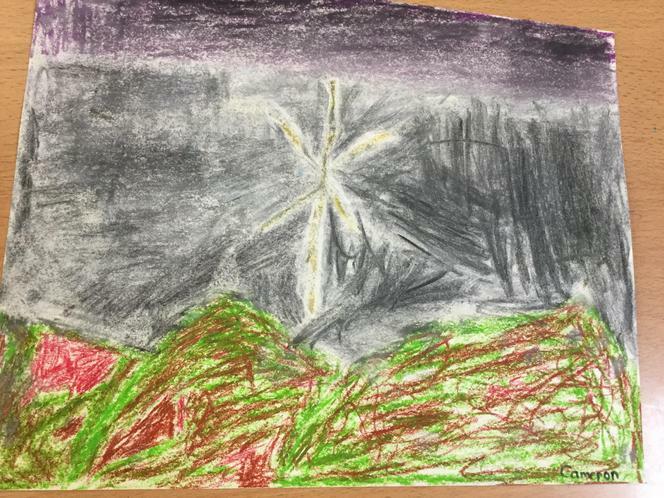 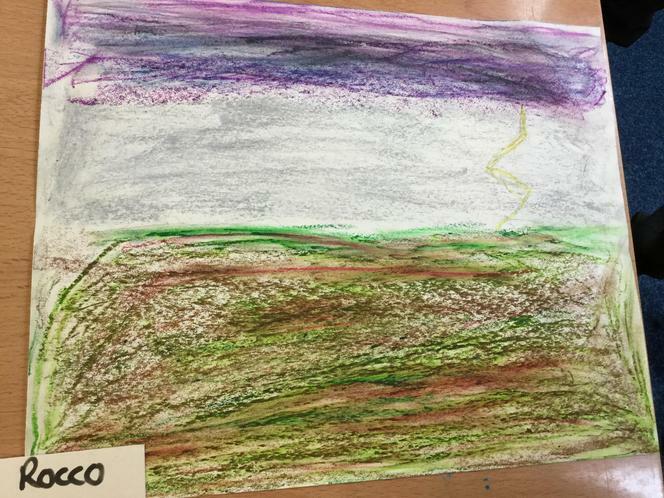 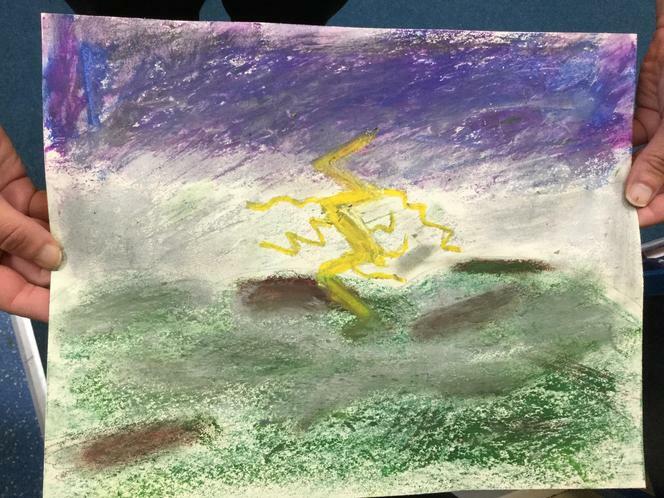 Children thought carefully about creating light and dark areas and how to show different designs. 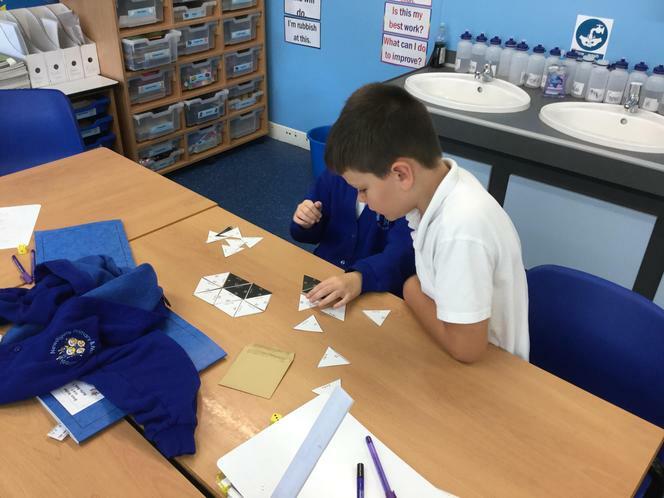 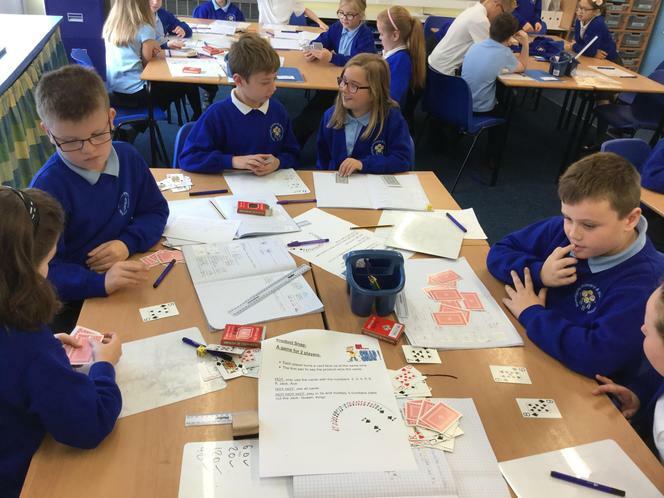 4th September: For our first maths lesson of the year, children had to complete a problem solving task where they had to make lights come on following specific rules. 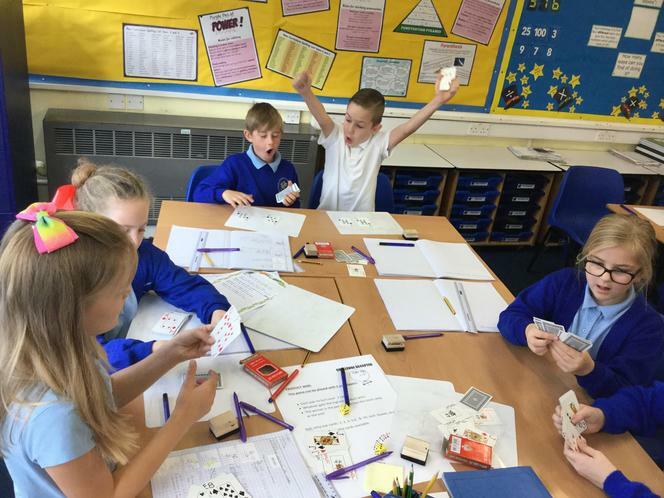 children worked hard in their pairs to find different solutions and used different resources to help them.